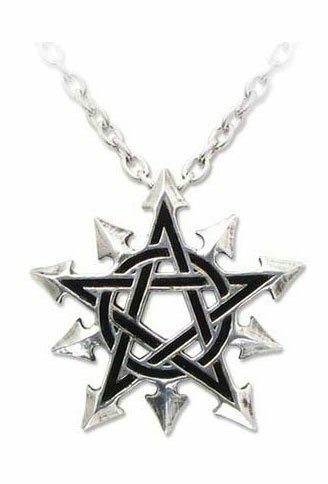 The pentagram is The Spirit, the chaos star the reign of disorder, and therefore, behold the symbol of belief in the self-determination of the independent mind. 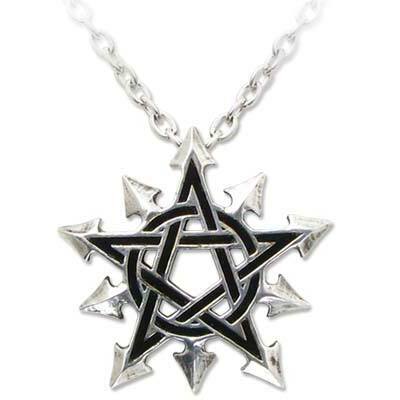 Made of fine English pewter with black enamel. By Gothic Alchemy.